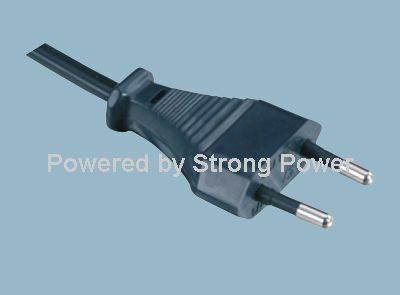 The use of retracting power cord assemblies is known in the prior art. More specifically, retracting power cord assemblies heretofore devised and utilized are known to consist basically of familiar, expected and obvious structural configurations, notwithstanding the myriad of designs encompassed by the crowded prior art which have been developed for the fulfillment of countless objectives and requirements. The power cord dispensing system according to the present invention substantially departs from the conventional concepts and designs of the prior art, and in so doing provides an apparatus primarily developed for the purpose of allowing the convenient use of electrical appliances. Which will be described subsequently in greater detail, is to provide a new power cord dispensing system apparatus and method which has many of the advantages of the retracting power cord assemblies mentioned heretofore and many novel features that result in a new power cord dispensing system which is not anticipated, rendered obvious, suggested, or even implied by any of the prior art retracting power cord assemblies, either alone or in any combination thereof. The purpose of the foregoing abstract is to enable the U.S. Patent and Trademark Office and the public generally, and especially the scientists, engineers and practitioners in the art who are not familiar with patent or legal terms or phraseology, to determine quickly from a cursory inspection the nature and essence of the technical disclosure of the application. The abstract is neither intended to define the invention of the application, which is measured by the claims. It is therefore an object of the present invention to provide a new power cord dispensing system apparatus and method which has many of the advantages of the retracting power cord assemblies mentioned heretofore and many novel features that result in a new power cord dispensing system which is not anticipated, rendered obvious, suggested, or even implied by any of the prior art retracting power cord assemblies, either alone or in any combination thereof. 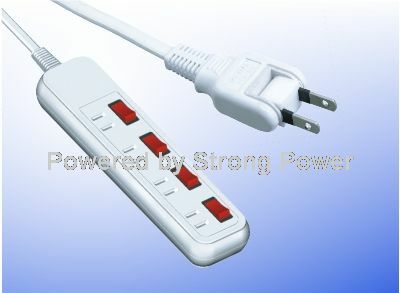 An even further object of the present invention is to provide a new power cord dispensing system which is susceptible of a low cost of manufacture with regard to both materials and labor, and which accordingly is then susceptible of low prices of sale to the consuming public, thereby making such power cord dispensing system economically available to the buying public. Even still another object of the present invention is to provide a new ac power cord dispensing system that includes a housing with a retracting spool mounted therein for selectively retracting a power cord through an opening formed in the housing. Also included is a cleaning brush situated within the opening for cleaning the power cord upon the retracting and dispensing thereof.